Places to see in Betla: Betla is renowned for its wildlife reserves. You will be truly charmed by visiting the famous Betla National Park, situated on the Ranchi-Daltonganj Main Road. The park boasting an exotic collection of flora and fauna spans an area of around 1026 sq. km. 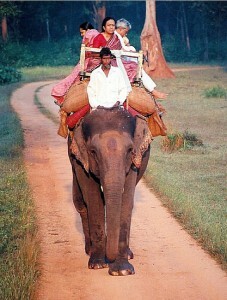 It is regarded as one of the first National Parks across India, which later became a tiger reserve under Project Tiger. Basically, Betla National Park was an extension of the Hazaribagh National Park during 1960s, which was later developed under Project Tiger as one of the prime Tiger Reserves of India. Palamau Tiger Reserve, which is an integral part of the Betla National Park, was also developed under this project. This reserve is a safe haven of around 45 tigers, along with other animals like wild dogs, horned antelope and jungle cats. Moreover, since 1989, Betla National Park also incorporates around 63 sq. km of the Mahuadar Wolf sanctuary. This national park is well accessible through Belta Village. You can savor the splendor of the wilderness by availing the jungle safari or jeep safari, organized by the local forest authorities at this national park. The northern part of the Betla village is flanked by the Koel River and its tributaries. The ruins of Betla Fort located within the Betla National Park are another great destination. It is one of the early forts ruled by the Chero kings. Nearby attractions around Betla: If you want to explore further afield, visit the confluence of Koel and Orga rivers, popularly called Kechko Sangam, located 18 km from Daltonganj. Nearby Daltonganj, there is a place called Barwadih, which houses an age-old temple of Shiva. You can also visit the Suga Bandh or Dam, located at a distance of 60 km, featuring an attractive reservoir. The breathtaking views of the famous Lodh Falls and Mirchaiya falls are truly enchanting. The picturesque green surroundings of the waterfalls are ideal for a day’s excursion. Another sought-after destination around Betla is the Talah Hot Water Spring, renowned for its remedial properties. Things to do in Betla: The elephant safari or guided jeep safari organized in the Betla National Park to spot wildlife and birds is truly exciting. There are five watchtowers in the sanctuary, which offer unobstructed views of animals. The ruins of the ancient Betla Fort built in the 16th century by the Chero rulers are worth exploring. You will truly admire the converging point of River Koel and River Orga, popularly called Kechko Sangam. The place is ideal for organizing picnic. You can also indulge in swimming and boating here. The enchanting surrounding of Lodh Falls and Mirchaiya Falls are also perfect for a day’s excursion. How to reach Betla: There are several options to reach Betla. The nearest airport of Betla is located at Ranchi, which is facilitated by frequent flights from Kolkata. You can avail taxis from the airport to reach Betla. Bus services are also available from the town of Barwadih to Betla National Park. However, you can also travel to the destination by train. The nearest railhead is located at Barwadih. The other alternative is the Ranchi railway Station, which is well connected by trains to Kolkata. 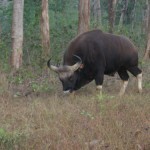 Best time to visit Betla: The ideal time to visit Betla for exploring the Betla Tiger Reserve is between October and April. The weather also remains pleasant from November through March. However, it is better to avoid the rainy season, which stretches from June to September. The most popular time to make a trip to Betla is during the months of October and November. 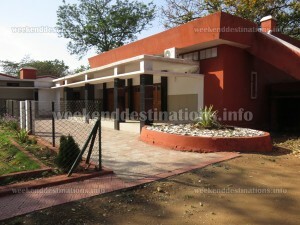 Lodging and dining facilities in Betla: Accommodations are available in Government Forest Bungalows at Betla. The accommodation facilities include dining hall, solar power, AC rooms within the forest area. Photographs by Mandar Sengupta, Indrajit Mitra, Partha P Mondal, Indrajit Chakraborty, Rajesh Chakraborty, Chiranjib Choudhuri, Ritwick Pal.